UPDATE – This offer has now ended, but you can still take advantage of these great classes by heading over to CRAFTSY and learning new or updating your skills. Just a short post to today to let you know Craftsy are celebrating National Craft Month by offering up to half price discounts on their Craftsy Quilting classes. It’s only on for 5 days and once you purchase it’s a lifetime access so you can take as much time as you need learning from them. If you’ve ever taken any of their classes before then you’ll already know what a good deal this is! For those of you thinking about taking the plunge, why not now, while this offer is on? 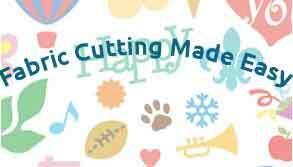 There are around 234 to choose from, covering all aspects of quilting from quilting big projects on a small machine to creative quilting with your walking foot. For regular sewing, (and if you’re a machine quilter I’m sure you do this), then the basics are also covered. One module, “40 Essential Techniques that every Sewer Should Know,” gives essential tips for finishing techniques, buttonholes, and zippers as well as covering fitting a garment properly. At only $19.99, saving 44% on the regular price of $34.99, a worthwhile investment I reckon! 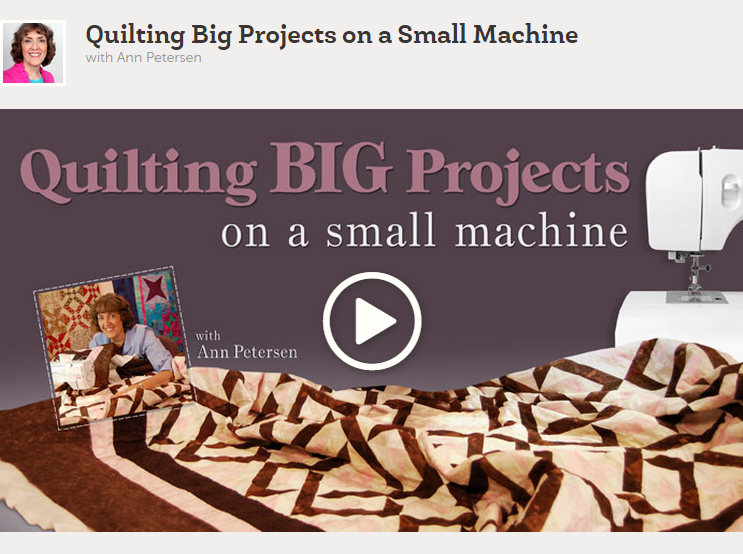 If you’re just starting on your quilting adventure then “Start Machine Quilting” would be the one for you. 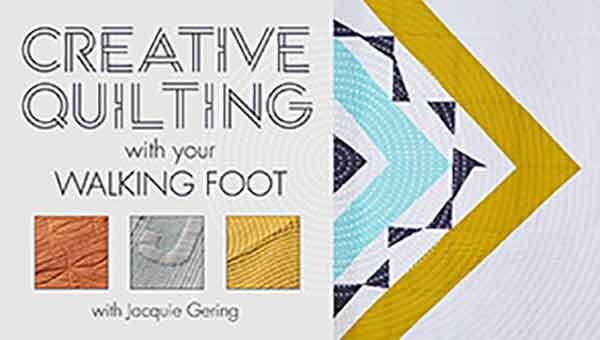 More experienced quilters would also benefit from this class. 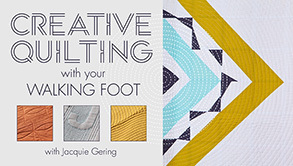 At the same price as Creative Quilting, this is another “must have!” You can check out the reviews for this class below. Take a look at the preview of the Quilting Big Projects on a Small Machine, only $19.99, saving 44% on the regular price of $34.99! 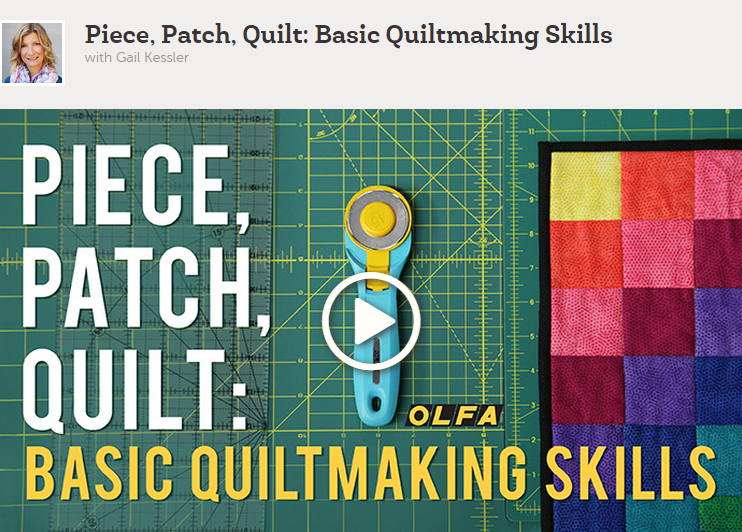 Craftsy also have a number of free quilting classes, not a huge selection, but they do cover the basics of “Piece, Patch, Quilt.” There is also a long arm quilting class, not very often you see a free one of those! 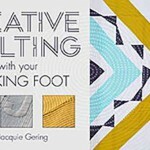 Finally, I have to say, looking through all the Craftsy quilting classes available, there isn’t much that isn’t covered. So, National Craft Month, birthday coming up? Give yourself a treat and improve your sewing and quilting skills by enrolling in a Craftsy class. Go over to Craftsy now while this special offer is on, it’s only for 5 days. 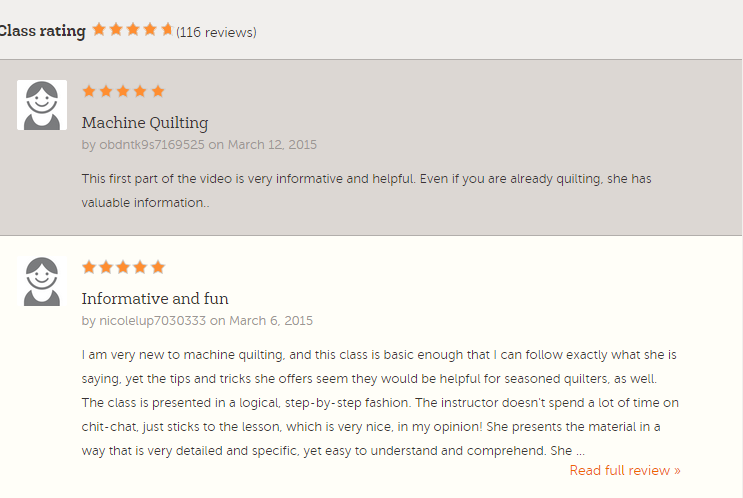 Thanks Jason, I think the Craftsy classes are a good investment for anyone crafty. There are so many different classes to choose from, something to suit everyone!